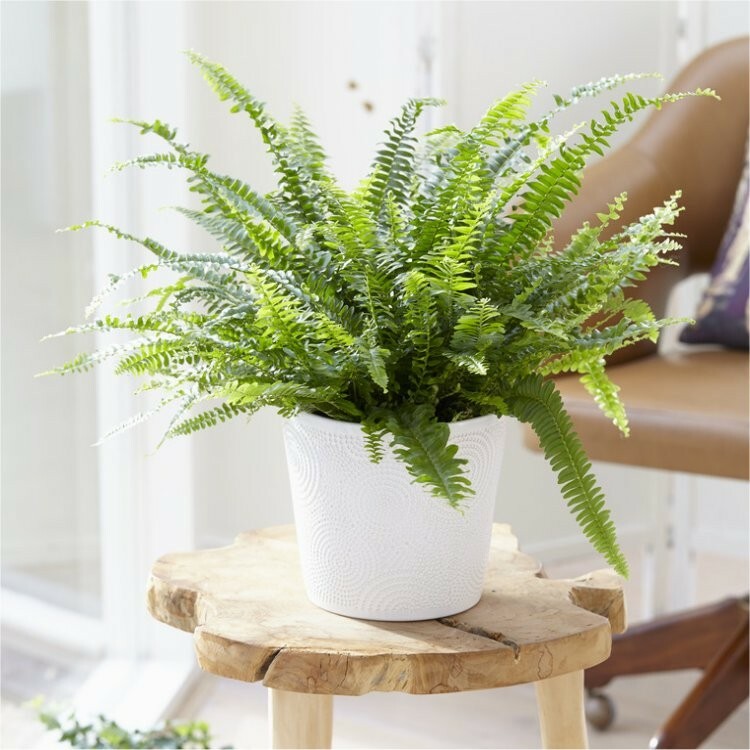 Nephrolepis exaltata 'Green Lady' or Boston Fern as it is better known is a lovely fern for a shady spot indoors. Lush green house plants create a calm feeling, and also help to purify the air we breath. 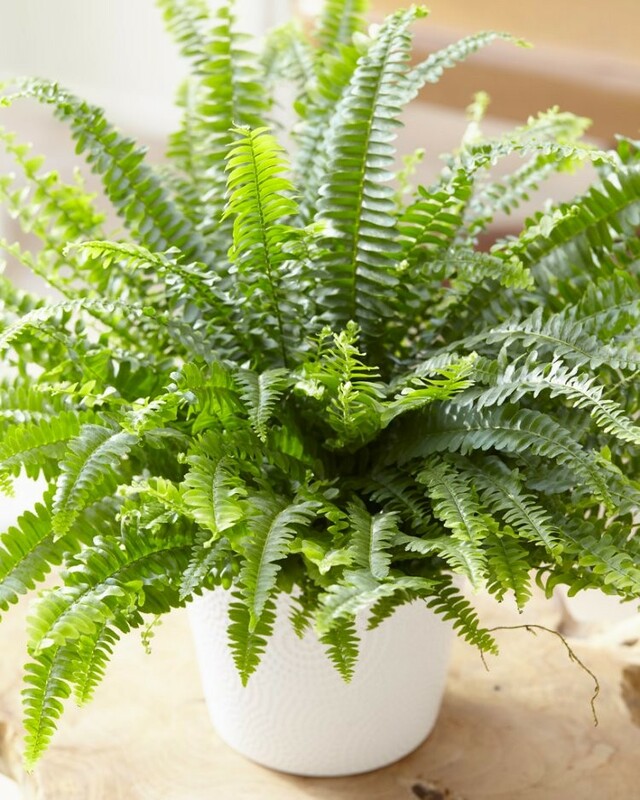 Treat yourself or a loved one to one of these lovely calming and purify plants. Supplied as pictured in approx 12cm containers, complete with classic white display pot.